Limited edition spooky and fun Halloween pattern! keep it spooky. Original purse designed by Spirit Nest. Digitally printed on luxe artificial PU leather. I love this purse! It's big enough for me to fit my fifteen-inch laptop and quite a few books. 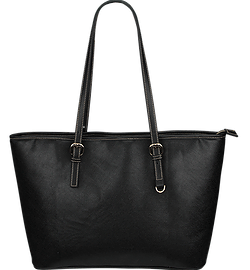 This purse is very large, beautifully made, and versatile. A great help on shopping trips as it can hold lots of small items and quite a few medium sized items. It's very well made and the printing is BEAUTIFUL. 10/10 would buy again.